Vacuum cleaning is one of my most dreaded cleaning tasks at home. It can be physically draining, time consuming and unless you have an awesome vacuum cleaner, it can even be downright frustrating. We purchased our vacuum cleaner about 7 years ago now. It was in the mid price range and the selling point was that it was aimed at pet hair. We needed that. At the time we had a persian and a siamese cat. Lots of hair… everywhere! These days the vacuum cleaner is pretty useless and very frustrating though! Fast forward to today and instead we have two devon rexes, who aren’t visible shedders, but even that fine fuzz has to go somewhere. But the difference is now having a toddler and new (ish) baby in the house. Anyone with kids will know exactly how little time it takes for the floors to get grubby with a toddler in the house though. It’s almost impressive how much crud they manage to spread around the house in a short space of time. Except not impressive at all. ANNOYING! So of course I jumped… very high… at the chance to try a new vacuum cleaner thanks to LG and Social Soup! 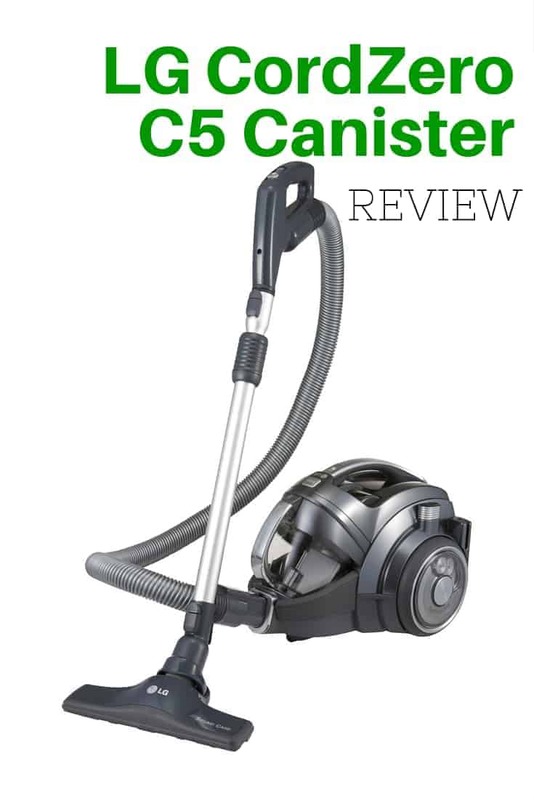 We were gifted an LG CordZero C5 Canister cordless vacuum cleaner to use and review as part of the CordZero Heroes project. First impressions of the LG CordZero C5 Canister were that it was heavy. And large. I wasn’t expecting that. A lot of technology seems to be getting smaller, but this was slightly bigger than our old vacuum cleaner. Normally I’m pretty good with at least skimming instruction booklets, however there was enough info on the side of the box to tell me it had rechargeable lithium batteries, so I plugged the LG CordZero C5 Canister into the wall and left it to charge overnight while we enjoyed a night out with family celebrating mum’s birthday. With a crazy busy week, I actually had no time to vacuum for a couple of days after receiving the CordZero cordless vacuum cleaner. My toddler actually tried it before I did… and oh boy did she get the fright of her life. Nothing makes a toddler run faster from a room than the noise of a vacuum cleaner after pressing a random button on the new ‘toy’. Hilarious! However fast forward to NRL Grand Final day here in Australia and the fact that we were entertaining, it was time to put the LG CordZero C5 Canister to the test. So I added the necessary attachments… which was super easy to do… and away we went. The floors were horrendous by this stage. Especially around the high chair and my daughters’ table and chair setting. The LG CordZero C5 Canister was extremely easy to use. The on/off button is on the handle which is a great convenience. The suction strength adjustment was also on the handle. This is great, although I will admit I did adjust it accidentally a few times while I vacuumed. It was easy to switch between carpet and non-carpet settings on the vacuum head… with your foot. It was also easy to pop the head on and off with your foot too if you just wanted to use the vacuum pipe for a hard to reach spot (Where were you LG CordZero when I was too pregnant to bend?). Best of all though was how well the vacuum cleaner worked. It was sucking up all the visible dirt and mess from the floor with ease. Unlike my old vacuum cleaner, it did what it was supposed to do. The LG CordZero C5 Canister has what is known as RoboSense technology. It will move in the direction you are moving in without you having to drag it along… at least that is the idea. I need to investigate this function a little further as while it did sometimes move on its own, other times I still needed to pull it and it was getting caught around door ways and corners. I was hopeful there would be no crashing into walls like my old corded vac. I also found sometimes the RoboSense technology resulted in it moving right behind me so I would step back and straight into the vacuum cleaner. Like I said, I need to do a little more reading so I can make the most of this function. But otherwise, the ease of having a cordless vacuum is by far a time saver and a convenience. No more plugging and unplugging to do the other half of the house. 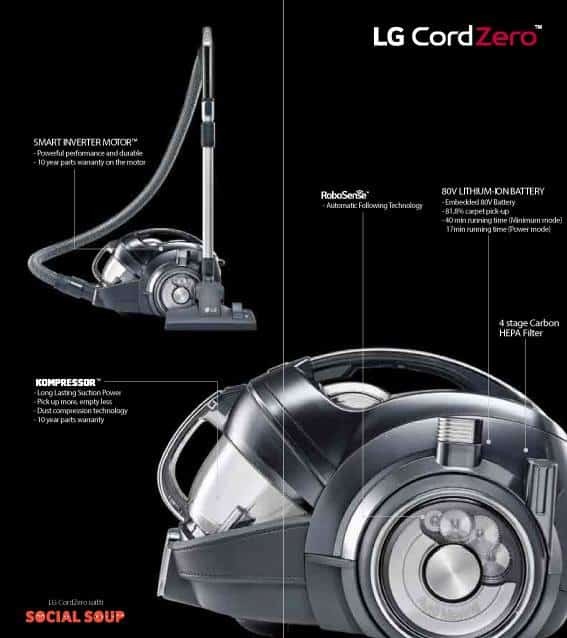 The LG CordZero C5 Canister is a massive step up from my existing vacuum cleaner. The biggest appeal is the cordless vacuum feature. The suction power on the vacuum cleaner is great. It does a thorough clean of the floor and carpet and that was without putting it to the maximum power. It is large, but the RoboSense means you don’t have to drag it along all of the time. Still pretty heavy though and I would prefer if it avoided bumping into walls as part of the technology, but not the end of the world as I’m used to this happening. The battery life wasn’t awesome on my first use. Despite charging over night, it ran out of battery before I had finished vacuuming. Another 10 minutes would have been ideal as it seemed to only last about 30 minutes and not the expected 40 minutes. Or maybe I was going super slow? Sometime to test further and I do have a rather large open plan house. 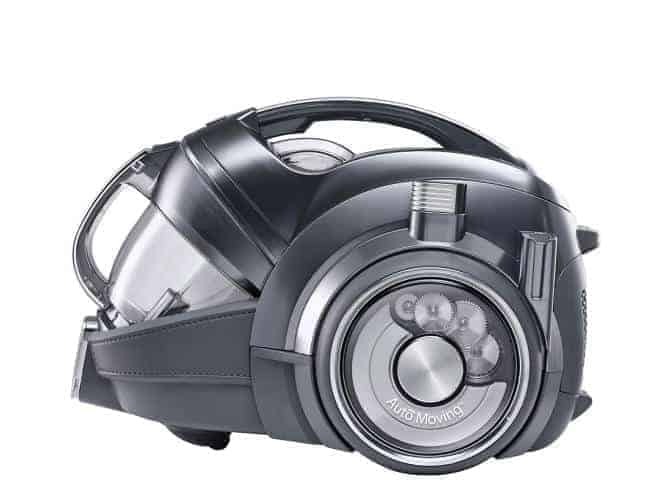 Overall, compared to my existing vacuum cleaner, the LG CordZero C5 Canister has some great features and I will be happy to have the upgraded cordless vacuum cleaner in our household. It will save time and actually clean my floors with ease. What kind of vacuum cleaner do you have? What are the best and worst features? *The CordZero was provided for the purpose of conducting a review. All opinions and views expressed are my own. I like the idea of RoboSense if it works well, I’m forever banging into walls and furniture with my vacuum. Oops! I currently have a Nilfisk Power which certainly does the job well, but I’m forever changing and buying bags for it which is a pain. I also have an LG Roboking robotic vacuum for in between cleans. It’s a lot of fun to switch it on and let it get to work. I bought it when I worked full time to help manage the housework, but since leaving work I haven’t switched it on as much as I should. It still runs into walls more than I like. Actually more so maybe. The one thing I don’t like but it does a great job cleaning and the cordless thing is awesome. We also have a robovac, but it doesn’t get used much either as the kids toys are everywhere so it gets stuck too often lol plus it didn’t do a good job anyway. Don’t you love how everyone is coming up with cordless technology these days? So much more convenient! I can just imagine her freaking out after pushing the button and the vacuum turning on, bub would probably do the same thing here. We are really torn about replacing our trusty Hoover with a Dyson due to the expense. Plus I’ve heard mixed reviews on pet hair. If price were a concern, do you still think Dyson would be your number one choice?